Today, we have many options available to us in which we are able to attain that perfect smile. When it comes to correcting issues with misaligned teeth, we don’t always have to settle for traditional metal braces anymore. By using the popular Invisalign system, Dr. Anderson now has the ability to straighten teeth by using nearly-invisible, removable and clear plastic aligners. Although appearance is often the motivation behind getting braces, the reasons for doing so far outreach simple appearance. Studies have shown that the result of having misaligned teeth allows highly aggressive bacteria to eat away at the enamel of our teeth, thereby causing cavities. In addition to rotting teeth, this bacteria eats away at our healthy gum tissue, as well, while simultaneously creating a pathway for the bacteria to reach well into the other organs of our body. As time passes, teeth begin to loosen and fall out. So, the benefits of having straight teeth far outweigh personal appearance. The popularity of Invisalign is understandable. Many people would like to improve their smile without the look of metal brackets and wires. Invisalign consists of a series of clear and removable customized trays. Since they’re removable, patients can enjoy all the foods they love without worry. Proper brushing and flossing can be performed daily, and regular cleaning and check-up visits are effortless. Patients with minor to moderate misalignment of the front teeth are the best candidates for Invisalign. More significant misalignment or issues with bite may require treatment with standard orthodontics. 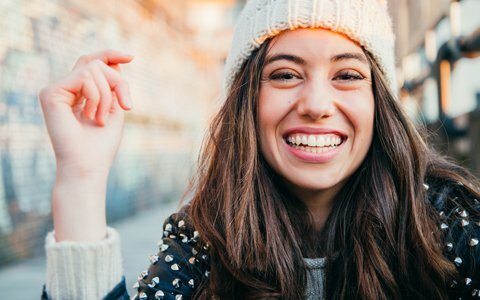 When Invisalign is appropriate, impressions are taken and used to fabricate precise, computer-designed plastic trays. In just a few weeks, the trays are ready for the patient to take home and wear as directed. Trays are removable for eating, brushing, and flossing; however, they should be worn 22 out of 24 hours each day in order for the treatment to progress as planned. Trays are changed out every few weeks according to Dr. Anderson’s assessment of the progress being made during each four to six week visit throughout treatment. Improving your smile is easier than ever with Invisalign. To find out if you’re a candidate, schedule your complimentary consultation with Dr. Anderson and discover the benefits that Invisalign has to offer. Call 281-469-8026 right now to schedule.